Highlighting the release are improvements in deploying it on bare-metal servers, not just in the cloud or in virtualized configurations. The latest release of the OpenStack cloud deployment and management platform, dubbed Rocky, is now available and includes a major improvement that will be welcomed by many enterprise users — easier deployment on bare-metal servers for customers that want to use it in private data centers or in private clouds. Rocky, the 18th release of the open-source cloud platform, comes with a list of other improvements, including easier and faster version upgrades for users and updates that will ready it for hardware accelerators, high-availability configurations, serverless needs, and edge and internet of things (IoT) use cases. The most visible improvements, though, are the ones made to the OpenStack project, Ironic, which aims to help users deploy the platform on bare metal. Ironic, which is designed to allow users to manage physical infrastructure in the same way they are used to managing virtual machines, has now gained capabilities for users to manage BIOS settings, which will let them support network functions virtualization (NFV) while adding more configuration flexibility. Also new are capabilities for a new “conductor group” property that can be used to restrict which nodes a particular conductor (or conductors) have control over. Also new in Ironic is a disk deployment interface for diskless deployments, which are often seen in large-scale and high performance computing (HPC) use cases when operators desire fully ephemeral instances for rapidly standing up a large-scale environment. The bare-metal improvements came because some enterprises are deploying containers directly on bare metal in addition to placing them on VMs. 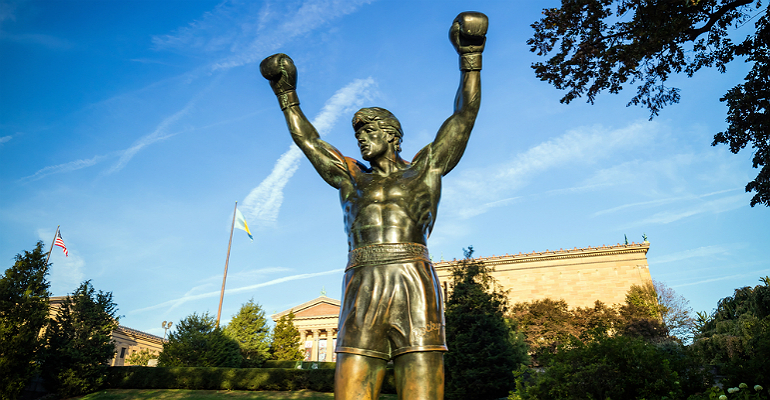 Dan Olds, principal analyst with Gabriel Consulting Group, told Channel Futures that he sees Rocky as a fairly comprehensive upgrade to the project’s existing code. “They’re emphasizing their bare-metal private- and public-cloud capabilities, which will sound pretty good to users who have cursed the complexity and overhead that come from having to install multiple layers of software in order to get full cloud features,” said Olds. Also noteworthy, he said, is that OpenStack embraces VMs and containers of all stripes, giving users the ability to use whichever type of virtualization they need on the same hardware in their data center. For the channel, this new version of OpenStack could open some doors with customers that have shied away from installing a total private-cloud infrastructure, said Olds. “The new OpenStack Rocky feature set will allow a customer to set up their private cloud in pretty much any manner they chose. The cloud is configured to fit the business; the business isn’t reconfigured to adapt to the cloud,” he said. Another analyst, Matthew Kimball of Moor Insights & Strategy, said he thinks it is amazing that there has been so much evolution so quickly in the OpenStack ecosystem — with 18 versions in just eight years. “Talk about fast pace of innovation and staying ahead of the market,” he said. The improved support for bare-metal deployment is a prime example of how responsive the OpenStack community is to the needs of the modern enterprise and cloud providers, said Kimball. The other improvements, such as the new managing of BIOS settings, finer control over individual nodes and support for diskless deployments simplifiy the deployment, provisioning and management of data-center infrastructure environments that scale to the hundreds of thousands of servers,” he said. Kimball said he’s interested in seeing the effectiveness of Rocky’s Fast Forward Upgrade (FFU) feature, which is meant to ease platform upgrades. If the FFU truly brings simple, seamless, complete upgrades of the OpenStack environment to users, it will be a great tool for OpenStack users and perhaps bring in new users who have shied away in the past due to the complexity, said Kimball. The Cyborg life-cycle management component for accelerators like GPUs, FPGA, DPDK and SSDs gets a new REST API for FPGAs – an accelerator seen in machine learning, image recognition and other HPC use cases – letting users dynamically change the functions loaded on an FPGA device. Qinling is a new function-as-a-service (FaaS) project that will provide serverless capabilities on top of OpenStack clouds, allowing users to run functions on OpenStack clouds without managing servers, VMs or containers, while still connecting to other OpenStack services like Keystone. Masakari, which supports high availability by providing automatic recovery from failures, now expands its monitoring capabilities to include internal failures in an instance, such as a hung OS, data corruption or a scheduling failure. Octavia, the load-balancing project in OpenStack, mow adds support for UDP (user datagram protocol), bringing load balancing to edge and IoT use cases. UDP is the transport layer frequently seen in voice, video and other real-time applications. Magnum, which is a project that makes container-orchestration engines and their resources first-class resources in OpenStack, has now become a Certified Kubernetes installer in the Rocky cycle. Passing these conformance tests gives users confidence that Magnum interacts with Kubernetes as expected.